NHS England » Are we doing enough for people living with dementia? Are we doing enough for people living with dementia? Our aim is to stimulate debate about dementia. To that end, Professor June Andrews and Beth Britton will be debating the issue of whether we are simply doing enough for people living with the illness, while I will be discussing the issues of improved diagnosis, better post-diagnosis support and better overall care. Professor June Andrews is the Director of the Dementia Design School at Stirling University. She is a leading advocate of improving the experience of people with dementia, and those who care for them. An award-winning world authority on dementia care, and Director of the Dementia Services Development Centre, Professor Andrews is passionate about nursing and the contribution that nurses make to good dementia care. She leads a team of practitioners at the DSDC whose sole aim is to foster improvement, working alongside researchers within the School of Applied Social Sciences at the University of Stirling to develop education and training that is making a real difference to people whose lives are affected by dementia. Beth Britton is a freelance campaigner and consultant, writer and blogger specialising in issues affecting older people, health and social care and specifically dementia. Beth’s dad had vascular dementia for approximately the last 19 years of his life. She aims to provide support and advice to those faced with similar situations, inform and educate health and care professionals and the wider population, promote debate and create improvements in dementia care. Beth, whose work has been described as “moving and inspiring”, was awarded ‘Best Independent Voice on Older People’s Issues’ at the Older People in the Media Awards 2013. In addition to the debate there will be a whole zone dedicated to dementia with a stand displaying examples of good care and a dementia café where people can sign up to be a Dementia Friend. Dementia Friends’ is an Alzheimer’s initiative which aims to give one million people a better understanding of dementia by 2015. The Dementia Friends organisation has trained more than 30 staff within NHS England to become Dementia Champions. The role of a Dementia Champion is to deliver one hour Dementia Friends information sessions in their local community or place of work. There will be six dementia friends’ sessions running throughout the two days within the café area. These will be between 45 minutes and an hour in length and will be delivered by dementia champions from across the country. The sessions will be informal and interactive with quizzes and engaging activities. We hope to have a maximum of 20 people at each session with the aim of raising awareness of dementia and encouraging people to sign up as Dementia Friends. A Dementia Friend learns a little bit more about what it’s like to live with dementia and then turns that understanding into action – anyone of any age can be a Dementia Friend. From helping someone to find the right bus to spreading the word about dementia on social media, every action counts. The aspiration is for everyone working for NHS England to become a Dementia Friend. Sam Hudson – Health Innovation Network – co-creating experience metrics for people with dementia and their carers. The dementia stand has an area for the Alzheimer’s Society publications and other dementia literature and ‘I’m a dementia friend’ pledge badges with a laptop to sign people up as a Dementia Friend there and then. Come along to the dementia zone where you can make a real difference by signing up as a Dementia Friend or sharing your personal story during a session. Alistair Burns is Professor of Old Age Psychiatry at The University of Manchester and an Honorary Consultant Old Age Psychiatrist in the Greater Manchester Mental Health NHS Foundation Trust. 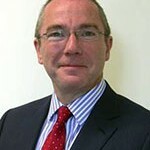 He is the National Clinical Director for Dementia and Older People’s Mental Health at NHS England and NHS Improvement. He graduated in medicine from Glasgow University in 1980, training in psychiatry at the Maudsley Hospital and Institute of Psychiatry in London. He became the Foundation Chair of Old Age Psychiatry in The University of Manchester in 1992, where he has variously been Head of the Division of Psychiatry and a Vice Dean in the Faculty of Medical and Human Sciences, with responsibility for liaison within the NHS. He set up the Memory Clinic in Manchester and helped establish the old age liaison psychiatry service at Wythenshawe Hospital. He is a Past President of the International Psychogeriatric Association. He was Editor of the International Journal of Geriatric Psychiatry for twenty years, (retiring in 2017) and is on the Editorial Boards of the British Journal of Psychiatry and International Psychogeriatrics. His research and clinical interests are in mental health problems of older people, particularly dementia and Alzheimer’s disease. He has published over 300 papers and 25 books. He was made an honorary fellow of the Royal College of Psychiatrists in 2016, received the lifetime achievement award from their old age Faculty in 2015 and was awarded the CBE in 2016 for contributions to health and social care, in particular dementia.